Honda Amaze sedan was hogging the highlight since the time Honda Brio hatchback came into the market. 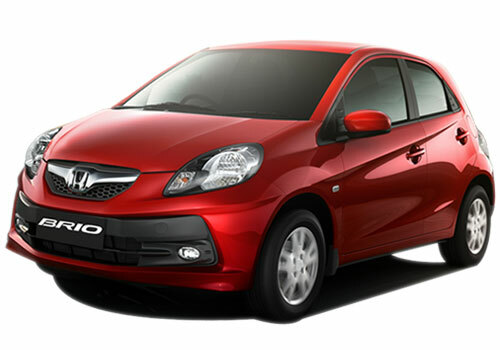 Ten days ago, Honda Brio Amaze sedan was launched in the Thailand car market with great pomp and show. Recently, the car was also revealed at the Thailand Southern Motor Expo. This was basically the first public appearance for Brio Sedan. Besides displaying this, Honda Motors in Thailand also came up with a sportier variant of Amaze that came with modulo accents. The car has been designed keeping in mind the thriving markets, such as Thailand and India. This sedan has been rolled out in Thailand between the price range of 454000 THB to 523500 THB for its petrol variant. If this is converted into Indian rupees, the car ranges from Rs. 8.19 lakh to Rs. 9.39 lakh. The price tag is expected to be comparatively low as in India, the Amaze will be under 4 meter car hence there will be tax benefits. Here in India it will be competing with cars like Maruti Suzuki Swift Dzire, Mahindra Verito CS, Tata Indigo eCS and Toyota Etios. However, as Honda will be producing Amaze sedan in India itself, which will definitely chop down the price tag to a large extent and put it in the range of Rs. 5 to 8 lakh. As far as this, there is no precise date decided for the launch of this one in India, but it is anticipated that Brio Amaze sedan will hit the Indian shores by early next year. Honda India has also made an official statement about their new 1.5 L diesel engine. The car’s 1.5 litre diesel engine will be produced at the new diesel engine plant located in Rajasthan. This 1.5 litre diesel engine will also be seen in Honda City sedan and Honda Jazz hatchback by 2014. I think a 1.5 litre diesel engine is ideal only for Amaze sedan but not for Brio and Jazz. The company should input a downsized diesel engine these small cars to make them fuel economical. Yes. Diesel hatchback cars are doing well in Indian Market. Maruti Swift with 1.3 litre and Ford Figo with 1.4 litre engine became successful. It should make Honda to think about launching a car with downsized engine.